Compatible with the Bosch Quick Change system. Convert standard hole saws into a Quick Changeoption. Adapters allow use of all major brand hole saws. 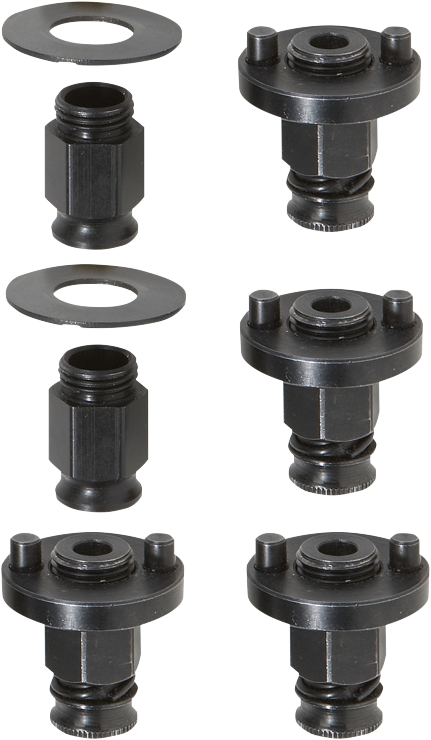 Includes (2) small adapters for hole saw sizes 9/16"- 1-3/16", (4) large adapters for hole saw sizes 1/4"- 6"